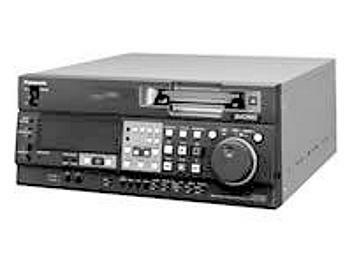 The Panasonic AJ-D755E is a Classic DVCPRO (25 Mbps) format recorder. Optional IEEE 1394, SDI, and AES/EBU digital interfaces. Jog and shuttle search dial. Forward and reverse 0.43x slow motion in all playback formats.